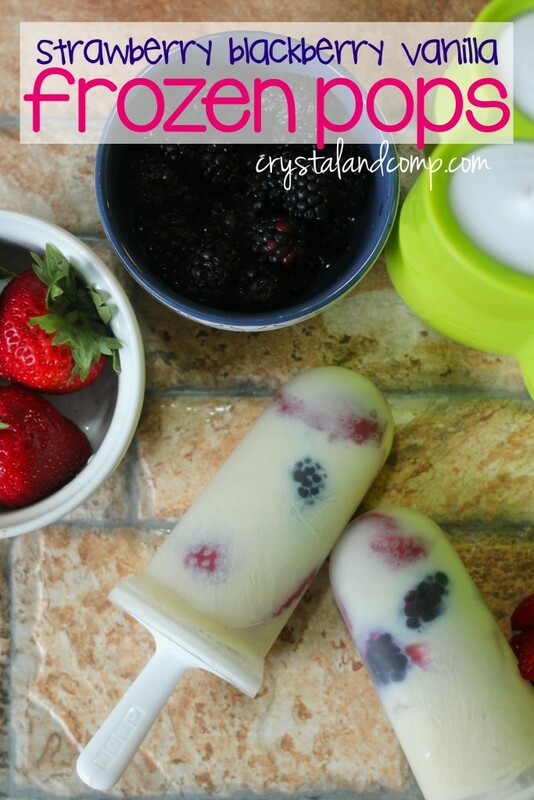 The weather is warmer and it is time to make homemade frozen popsicples! Making them at home is a huge money saver and you can use fresh ingredients. You will love this version that is packed with protein! The best part? The kids can help. I don’t know about you, but my boys love to eat their creations! 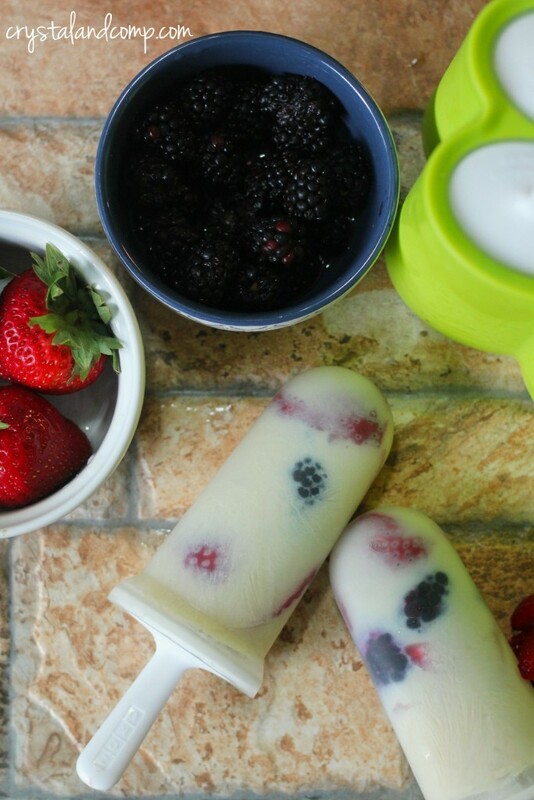 Homemade popsicles are no exception. And, these are so easy and fast to make. Literally takes two minutes with my secret ingredient! Gather up your supplies and ingredients. Place the 6 pop molds into the holder. Assemble the handles and drip guards. Set them aside. Add 6-8 slices of strawberry to each pop mold. Add 3 or so whole blackberries to each pop mold. Pour in the Silk Vanilla Soymilk to the fill line for each pop mold. Insert and attach the handles/drip guards into the molds. It literally takes two minutes to create 6 delicious pops. 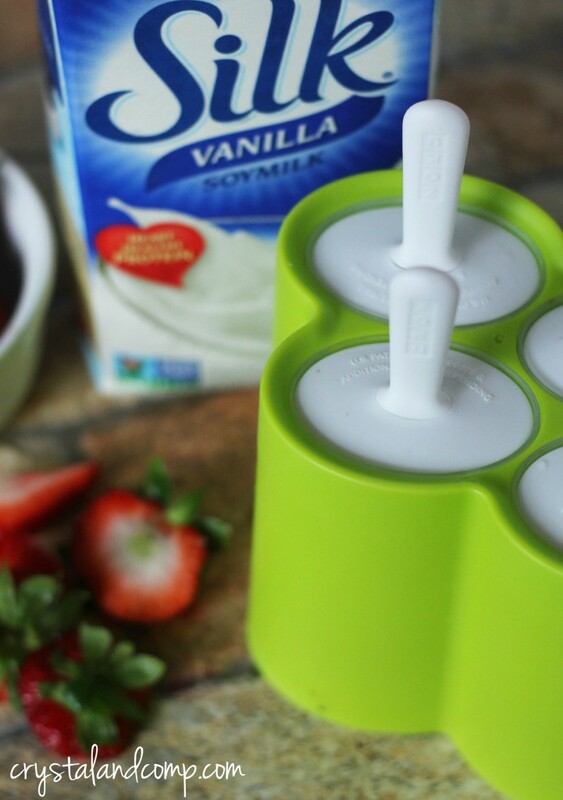 Place the pops in their holder and into your freezer for 6-8 hours or until the soymilk is complexly frozen. You know what I love about these? 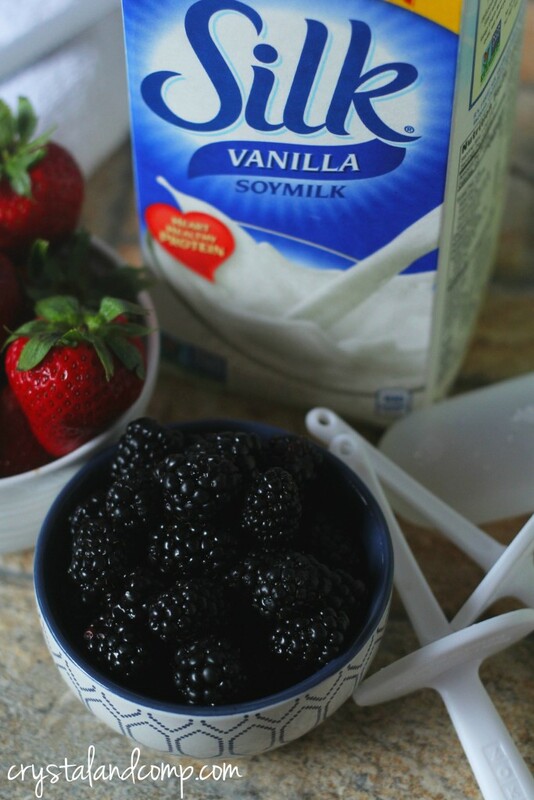 No other dairy-free milk gives you more protein than Silk Soymilk! With 8 grams of heart-healthy, plant-powered protein and a smooth delicious taste, Silk O gives you plenty to love. And because Silk is plant-based, it’s naturally low in saturated fat and has no cholesterol! Score! Sshhh, don’t tell that I let my kids eat these for breakfast. Why now? Protein and fruit all in one pop! You know what else I love? 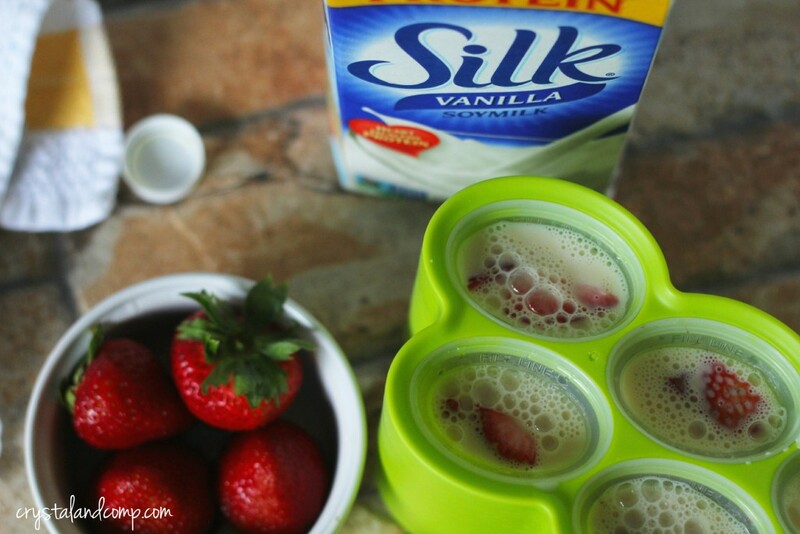 Silk Soymilk is high fructose corn syrup free! Did I mention my kids also like this over their cereal? Yum! Want a coupon? Go here to get your coupon and save $0.75 on Silk the next time you’re at the store!